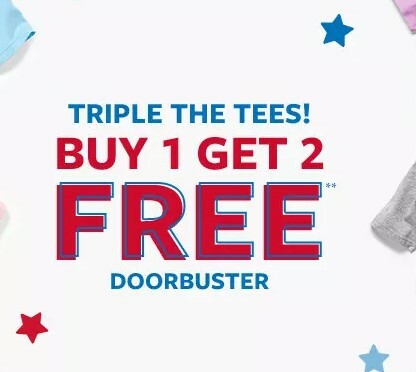 For a limited time, Carter’s has a Buy One Get 2 Free Tees sale. The tees are priced at $12 each, making them as low as $4.00 each when you buy 3. You can get free shipping on orders over $35.